If you follow us on Instagram, you might have noticed there are a lot of yogurt posts. A lot. I didn’t actually realize this was a common theme until I was explaining my ” low sugar yogurt snack” with someone recently and directed them to our Instagram page. What can I say, I love yogurt. Too often, pre-packaged yogurt can be full of added sugars. As in, 25+grams of sugar per 4 ounce container type of full. However, there are naturally occurring sugars in yogurt, which is okay, and usually accounts for 7-10 of the grams. What we want to focus on here is the amount of added sugars in the yogurt. The easiest to way to tell how many grams of added sugar is in your yogurt choice is to compare it to the same size and same brand plain yogurt option. To make it even easier, the new food labels will be required to break down natural sugars and added sugars on all products (but the release date of these new labels has been postponed). So how many grams of added sugar is too much? The American Heart Association recommends no more than 24 grams of added sugar per day (and less than that is better). As I mentioned, many flavored yogurts have this much sugar or more – and I was eating it as a snack not even a dessert! I decided it was time to transition to plain Greek yogurt and sweeten it myself to control the amount of sugar I was consuming. Now, if you have ever had plain Greek yogurt it is a STARK wake-up call to flavored yogurt. Based on my own trial and error, I recommend not going cold-turkey and instead making it a transition to plain Greek yogurt. How? Choose a juicy fruit and add a dash of pure maple syrup or honey. Choose a creamy plain Greek yogurt. My favorites are Fage and Trader Joe’s brand, they are not watery or grainy and are always thick, smooth, and creamy. If you just cannot get used to the bitterness of the plain 0% Greek yogurt, start with plain 2% Greek yogurt, as it is usually a little sweeter and creamier. To test this low sugar snack idea, or to make it easy on-the-go, feel free to purchase the single-serve options. I prefer to buy the tubs since it is most cost-effective (especially at Costco), but that is a personal preference. Choose a juicy fruit. You need a fruit that is sweet enough and juicy enough to help mask the bitterness of plain Greek yogurt. Juicy fruits to add to your yogurt include orange slices, very ripe blackberries, very ripe strawberries, grapefruit slices, ripe peaches, and purple grapes. My two favorites are orange slices, the juice from the orange makes it all blend beautifully with perfect sweetness, and purple grapes. I know, grapes sound weird. And you don’t believe it. But I am telling you— grapes in plain Greek yogurt is a delicious combination that you have to try, just make sure every bite of yogurt has a grape in it too. I dare you to try it! With orange slices and/or grapes, no extra sugar (maple syrup or honey) is needed, as they are both juicy and sweet enough. Add a dash of honey or pure maple syrup (a dash!). You really do not need a lot, a little bit goes a long way here. Add a dash to start, and then slowly add less and less each time. That is the best way to transition out of any overly sweet food in general and is very easy to do with yogurt. Optional: top with cinnamon for added flavor, stir in a spoonful of low sugar chia seed jam, or top with toasted oats and/or a low sugar granola. I prefer to make my own granola to limit the amount of added sugar, or I will just toast some old fashioned oats (toss with a tiny bit of canola oil) for the crunch without any sugar. Not keen on making your own? Kashi Go Lean Original is low in sugar and adds crunch. Another delicious add-in? A tablespoon of almond butter or natural peanut butter – dip in crunchy apple slices for a filling snack. 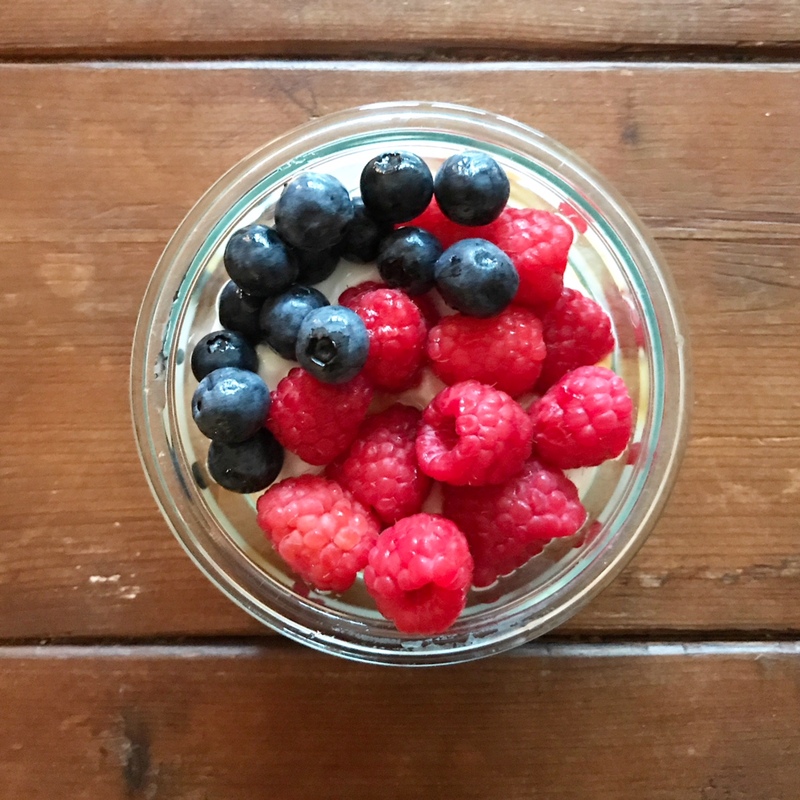 Plain Greek yogurt with blueberries, raspberries, and a drizzle of honey. 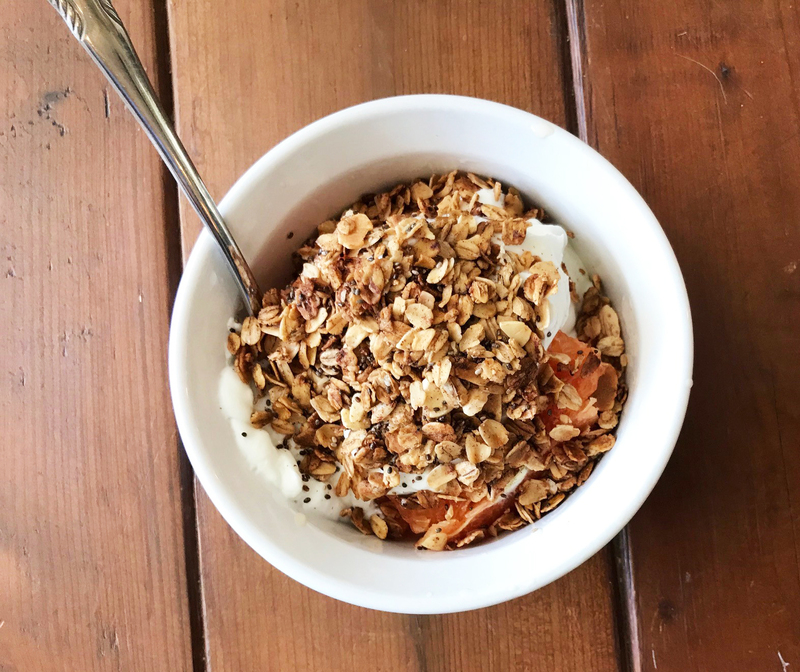 Plain Greek yogurt with orange slices and homemade low sugar granola – my FAV option. 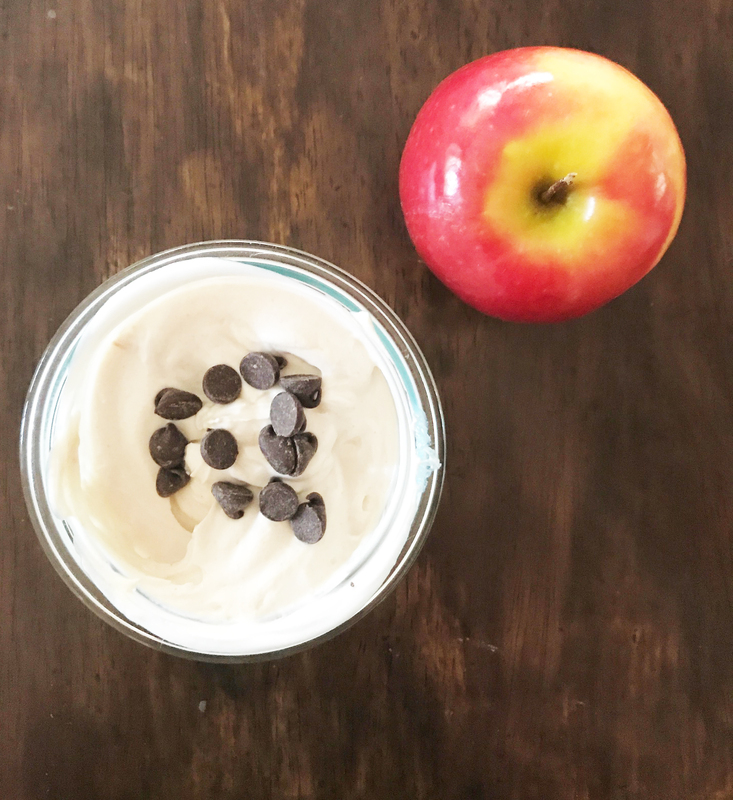 Plain Greek yogurt with a tablespoon of natural creamy natural peanut butter and topped with just a few chocolate chips. Dip crisp apple slices. 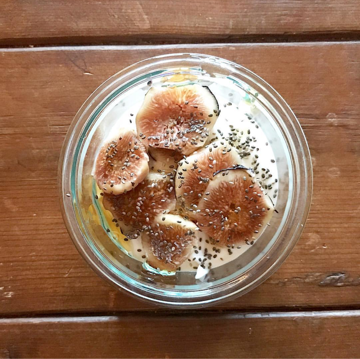 Plain Greek yogurt with sliced figs, a drizzle of honey, and a sprinkle of chia seeds. 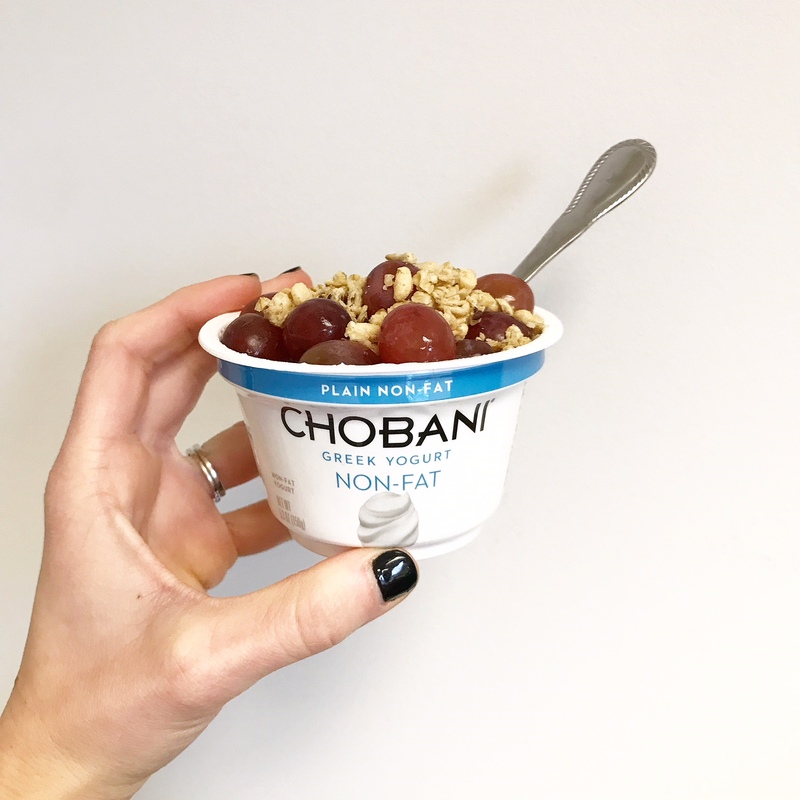 The easiest way to eat it to-go: Prepackaged plain Greek yogurt and top with grapes and low-sugar granola. 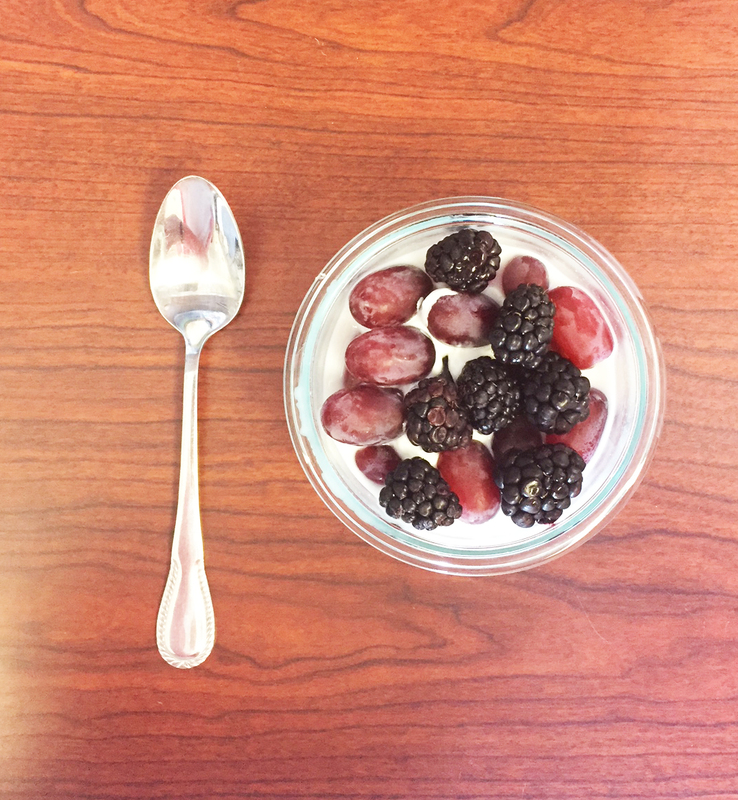 Plain Greek yogurt with grapes and blackberries- no added sugars when you have juicy grapes! 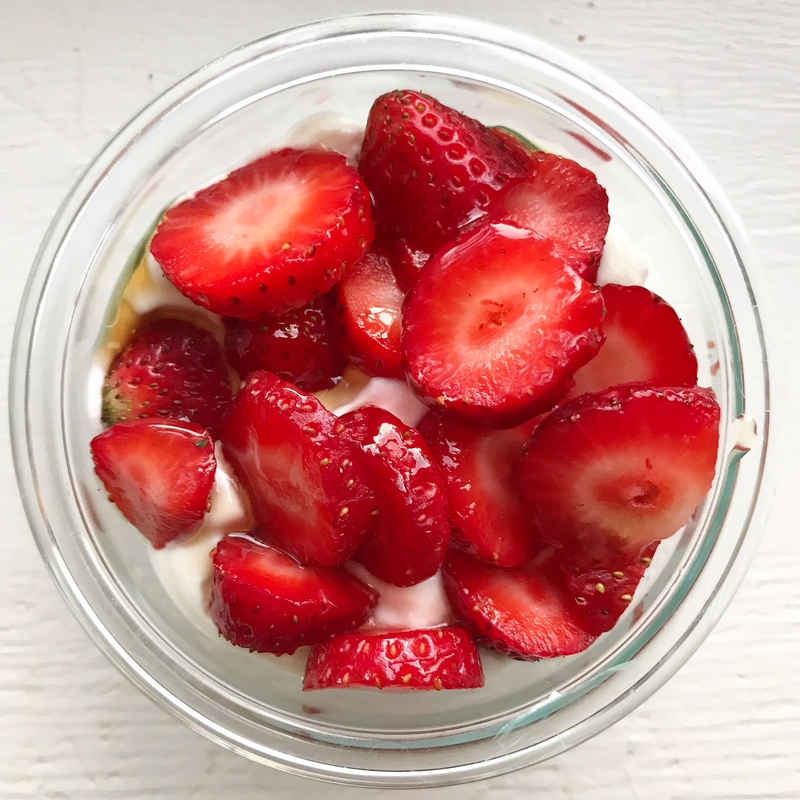 Plain Greek yogurt with fresh strawberries and a drizzle of honey. 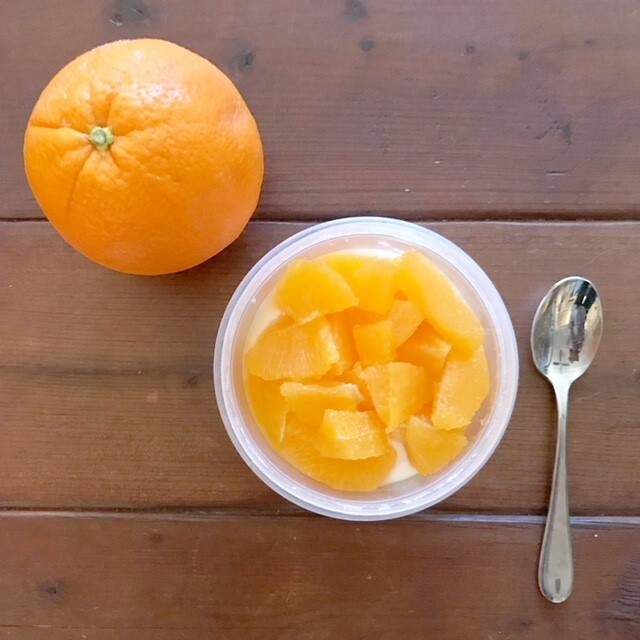 My go-to and favorite option again, plain Greek yogurt with orange slices – no added sugar needed! How do you like to eat low sugar yogurt? Any flavor combinations I should try? Add them to the comments below. Great suggestions and I had not thought of the high sugar content in yogurt. Thank you!